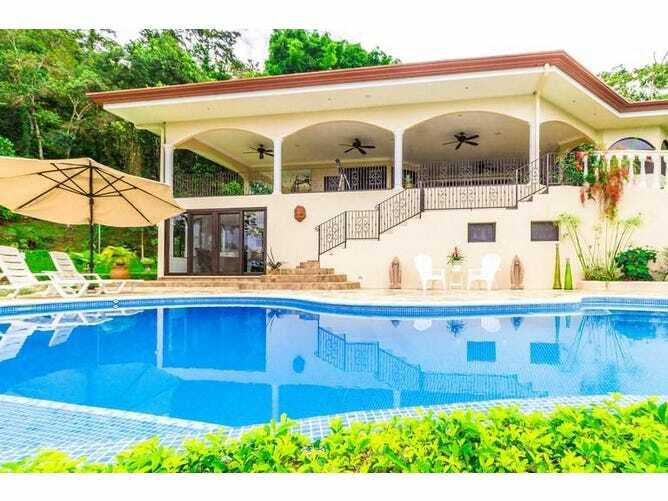 International Costa Rica San José Beautiful 4500 sq ft home on 3.5 acres, gated community, expansive ocean, valley, and jungle views! This beautiful 4500-square-foot home sits on 3.5 acres in a secure, gated community. The expansive views are stunning, overlooking the jungle valley below and the Pacific Ocean in the distance. Over half the property is professionally landscaped, and its beautiful park-like setting includes walkways, landscape furniture, and even a statue of an angel created by a well-known local artist!